“I’m always like, ‘No, it’s not a spaceship,’ ” says one agent. Large tanks where people can float in dark, soundless and gravity-free peace are the newest addition to luxury developments. 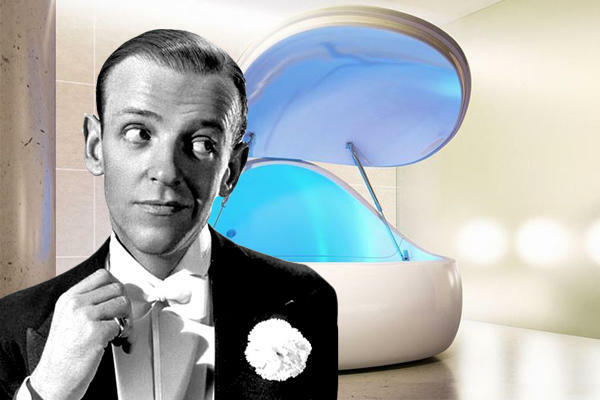 The tanks can cost tens of thousands of dollars and are typically sold in commercial centers devoted to providing the sensory-deprivation experience in a spa-like setting, however a residential market for the tanks is growing, according to the Wall Street Journal. At one luxury apartment building in Denver, two tanks are set up in the building for residents to access and, as the building’s director of real estate Pamela Ross says, the seven-foot float pods always get attention during tours with potential buyers.